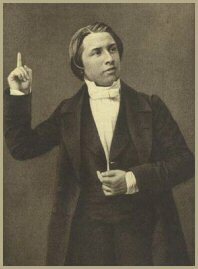 Charles Spurgeon called to pastor New Park Street Church at age 19. AT THE LORD’S table we wish to have no subject for contemplation but our blessed Lord Jesus Christ, and we have been wont generally to consider him as the crucified One, “the Man of sorrows, and acquainted with grief,” while we have had before us the emblems of his broken body, and of his blood shed for many for the remission of sins; but I am not quite sure that the crucified Saviour is the only appropriate theme, although, perhaps, the most so. It is well to remember how our Saviour left us—by what road he travelled through the shadows of death; but I think it is quite as well to recollect what he is doing while he is away from us—to remember the high glories to which the crucified Saviour has attained; and it is, perhaps, as much calculated to cheer our spirits to behold him on his throne as to consider him on his cross. We have seen him one his cross, in some sense; that is to say, the eyes of men on earth did see the crucified Saviour; but we have no idea of what his glories are above; they surpass our highest thought. Yet faith can see the Saviour exalted on his throne, and surely there is no subject that can keep our expectations alive, or cheer our drooping faith better than to consider, that while our Saviour is absent, he is absent on his throne, and that when he has left his Church to sorrow for him, he has not left us comfortless—he has promised to come to us—that while he tarries he is reigning, and that while he is absent he is sitting high on his father’s throne. The Apostle shews here the superiority of Christ’s sacrifice over that of every other priest. “Every priest standeth daily ministering and offering oftentimes the same sacrifices, which can never take away sins; but this man,” or priest—for the word “man” is not in the original “after he had offered one sacrifice for sins,” had finished his work, and for ever, he “sat down.” You see the superiority of Christ’s sacrifice rests in this, that the priest offered continually, and after he had slaughtered one lamb, another was needed; after one scape-goat was driven into the wilderness, a scape-goat was needed the next year, “but this man, when he had offered only one sacrifice for sins,” did what thousands of scape-goats never did, and what hundreds of thousands of lambs never could effect. He perfected our salvation, and worked out an entire atonement for the sins of all his chosen ones.